Those of you with better memories than ourselves may recall our mention of “Pop Gold” on last week’s issue. This was screened during the past week and we were most surprised with the show’s song choice of Yesterday’s Men. The performance, shot outside Alton Towers in 1985, was taken from kid’s show “Hold tight”, and came complete with dancing bears. Many more fans commented on those “Yesterdays Trousers!”. 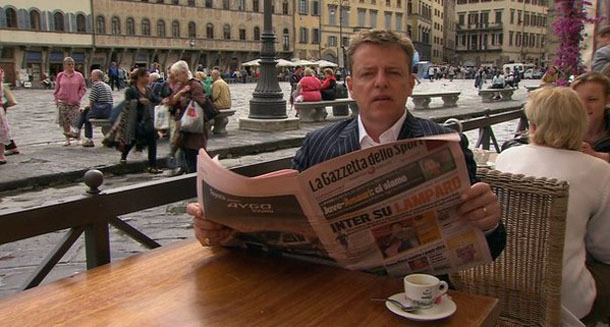 Poor mid to late 80s Suggs. Despite Chris having long hair and Lee being dressed as a Krishna monk, the dated late 80s patterning strides came in for the most flak. The Silencerz go to College. Hertford Regional College was visited by Lee and Daley’s band. HND and Level 3 Music Tech students got the amazing opportunity to work and record with Lee Thompson from The Madness and the band The Silencerz. Here are some short video clips of the day as the band answered questions about recording music, playing live and the industry of music. Then they recorded with the students in their studio facility, including a version of “Callie Road”, their self penned first original song. . This coming Saturday the Punch and Kudy pop up sleeve, special edition Lovestruck 7 inch backed with Grand Pantalon is released, as a 1000 limited edition pressing. Record Store Day came into being in 2007 when over 700 independent stores in the USA came together to celebrate their unique culture. The UK followed suit and 2015 will see the eighth celebration of the UK’s unique independent sector. This is the one day that all of the independently owned record stores come together with artists to celebrate the art of music. Special vinyl and CD releases and various promotional products are made exclusively for the day and hundreds of artists across the globe make special appearances and performances. Festivities include performances, meet & greets with artists, DJ’s, in store quizzes and many other events. Our thanks go to Holly at Unionsquare music for the above list. Special offers were the order of the day this week as we kicked off the issue with the news that Retro Madness had reduced the price of the Forever Young UK promo CDs from £9.99 to £4.99, including UK postage. The bargain price was even less than Retro Madness had payed for them in the first place! We were also reminded that last week’s offer of brand new Our House t-shirts ranging in price from £3.50 to £5.99 was continuing until the end of April. It was on to re-release news next, as we reported that the day after this issue went out would see the re-releases of classic albums “Absolutely” and “7”. Each album cost a mere £6.99, and spanned two discs. 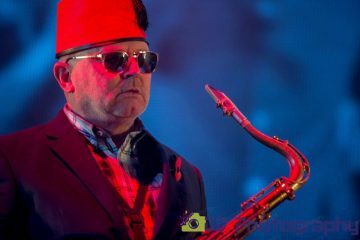 Following the recent 10th anniversary of the sad passing of Ian Dury we passed proceedings over to Lee Thompson and his tale of hose Uncle Ian found himself as lead vocalist on the classic Madness track “Drip Fed Fred”. Although a short article it was extremely amusing, and one that’s still worth a read even today. Next, and with the Summer holiday season just around the corner many of you would be on the lookout for some reading material to take with you. Being our ever helpful selves, we pulled out five titles that we felt you may have wanted to pack in your suitcase before jetting off. We brought this issue to a close with the news that Chris Moss of Bristol based ska band “The Communicators”, had recently set up a Facebook group and you were urged to take a look. We started off this week’s edition with news that Mike Edwards, the sax player from ska band Orange Street, would be running in the forthcoming London Marathon, in aid of Cancer Research UK. It wasn’t known if he’d be playing the sax at any part during the event – we suspected probably not. A few weeks back we’d printed what we assumed to be the full line-up for the forthcoming 3 day Badfest (running from Fri 29th July – Sun 31st July). 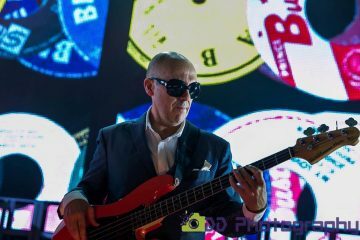 However, we were subsequently contacted by Stewart Rennie of Ska band `Orange Street`, telling us that despite them not being listed in our previous listing, they were actually booked to play on Saturday 30th. Armed with this information we decided to pay the Orange Street web site a visit in an effort to find out more about the band. 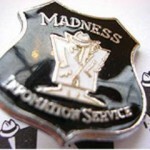 Next up co-editor Jonathan Young asked “Is it time for a Madness Symposium?”. Why, well, on the weekend this issue went out across the net, Manchester’s Metropolitan University put The Smith forward as the subject of academic study and debate. At the much publicised event, world class university lecturers and researchers gathered to assess the band’s social, cultural, political and musical impact. “But if “The Smiths” can be the subject of deconstructed examination at a dedicated Symposium, then surely Madness, should have the same opportunity. Jonathan then went on to draw up his own list of academic suitable lectures centred around our favourite band. Did this man have too much time on his hands? Quite possibly! Before we got this issue underway, we had to clear things up with all those people who mailed us asking for more information regarding the Madness world tour mentioned in last week’s edition of the MIS Bulletin. We were sure the majority of you realised that Simon Roberts had quite cleverly put together a little April Fool’s joke complete with mock-up promo sleeve on his website. 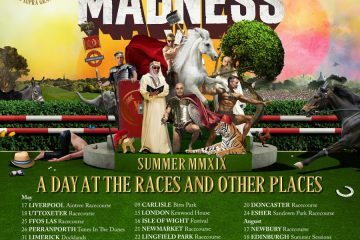 In a recent E-mail to the `Total Madness Mailing List`, Simon Roberts reported that he was receiving so many enquiries from people asking for copies of this non-existent promo and more info about the tour, that he had to put a disclaimer on his website informing people that it was indeed only an April fools joke. 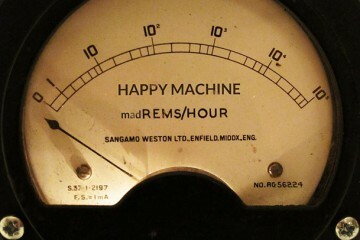 Moving on, and the ball continued to roll with regards to Scatty’s Madness festival pencilled-in for later in the year. The whole day would be a charity event, with proceeds going to Cancer Bacup, the charity Ian Dury put so much of his time and effort into. 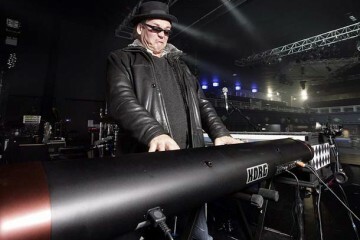 Since the sad loss of Ian Dury the previous week, the event had now been dubbed TMML ID Day. The event would start at 12noon on Saturday 11th of June and would go on till around 1am. Some sad news now, and for those who were waiting for the rumoured US tour and Madstock 5, Vince Foley was able to confirm 100% that there would be no tour or MS5 this summer. Many of you were no doubt familiar with the age-old TV series, `This is Your Life` which nine times out of ten featured someone so completely boring that you just had to change the channel. Well, for once we could assure you that you’d have the blank video tape in the player all set to record this one. 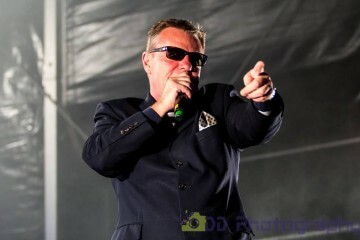 Last Saturday, the legendary Suggs recorded an edition of the show which was due to be aired in the next couple of weeks. Remember the Madness documentary being filmed and put-together towards the end of last year? Well, news reached us this week revealing the show had now been put back till September. A definite date had still not been decided. Onto the lowdown of this issue’s article now. And following the sad loss of Ian Dury last week, we had an article from the BBC website covering the funeral which was held on Wednesday. As expected, so many people came to pay their respects that the service held in the church was also broadcast outside. Further on we had the latest batch of gigs from `One Step Behind`. As we kept saying, if you’d not seen them, you really needed to get along to one of their shows as soon as possible. You would not be disappointed. 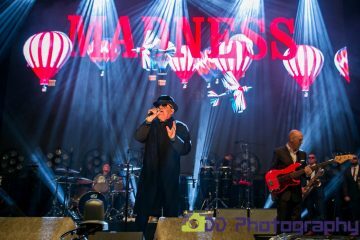 On Valentine’s day this year one Madness fan spread the word to the masses by appearing on Ireland’s `Near FM` radio station. This fan was none other than `Madness Unsugged` editor in chief, Vince Carden who was the guest on 101.6 FM’s weekly `Ska Patrol` programme. You could find out just what went on in the review of events elsewhere in this issue. And, not to be outdone by One Step Behind, the recently formed, tribute band `Los Palmas 6` were putting together a comprehensive tour over the next 6 weeks. We advised you to take a look at the dates to see if they would be playing in your area. The long awaited documentary Legends of Ska: Cool & Copasetic made its UK debut at the BFI Southank on Saturday, 04 April 2015, as a part of the BFI’s African Odysseys film series, and in conjunction with the London International Ska Festival. I was lucky enough to be among those in the packed house to see this brilliant film that I think will be an essential part of every Ska fan’s collection whenever it is finally released. The film was introduced by Brad Klein, who produced and directed the film, which tells the story of original Jamaican Ska through the voices and performances of many of the Legends who lived it. The film was followed by a panel discussion led by author David Katz talking to Brad Klein and two of the film’s “stars” – Rico Rodriguez and Derrick Harriott (Owen Gray had to cancel at the last minute for a family emergency). 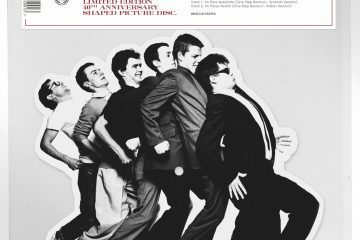 The story is woven around footage and interviews coming out of the 12-13 July 2002 Legends of Ska concerts that took place in Toronto – again produced and promoted by Brad Klein, who had the vision to bring together as many of the original artists that were still alive at the time for a weekend of performances and events. A number of those involved in the Legends of Ska concerts and featured in the film have since passed away which further highlights the importance of this film in capturing their stories for posterity. Brad Klein was a DJ playing Ska and started wondering about the artists behind the music he loved and started trying to track them down for phone interviews. He got inspiration from the 1999 documentary film Buena Vista Social Club about the Havana club’s music scene during the 1940’s and he wondered who would make a film about the origins of Jamaican Ska and realized it would have to be him. He had never made a film before and he had never produced a concert before, but set about organizing the Legends of Ska concert weekend in Toronto in 2002 in spite of it. 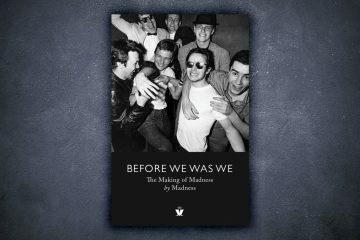 Like me, many MIS readers will probably be familiar with a lot of the Ska history from reading books and articles but where the film’s appeal really lies is in seeing and hearing Duke Reid, Prince Buster, Dennis Sindrey, Larry McDonald, Stranger Cole, Millicent “Patsy” Todd, Derrick Morgan and so many others telling you in their own words. It reached me too and I encourage every fan of Ska to see this film when the opportunity arises. I hope you have all had a Happy Easter weekend and a blessed Passover. I want to thank you all for the kind words you have posted and feel much encouraged. Life is such a beautiful dance and today I am filled with much hope and gratitude for my family, my friends and you all. Photographer Neil Mackenzie Matthews, currently has an exhibition on show at “The GrEAT British Restaurant” entitled “My 80s through the lens”. Why should this interest Madness fans? Well, a photo of our favourite band forms part of the collection, that’s why. You can visit the show at The GrEAT British Restaurant, 14 North Audley Street, Mayfair, London W1K 6WE. If you’d like to a see a selection of classic 80s bands taken back in the 80s then check out Neil’s gallery at: http://myeighties.com/galleryhome.html. Chris, Lee and Suggs make an appearance here.